Hyper Sentinel, a retro gaming inspired shoot ‘em up presented by UK games industry pioneer Andrew Hewson, is aiming for its fourth stretch goal in the last 48 hours of its successful Kickstarter campaign, which will allow players to activate a Commodore 64 style graphics mode in the final game. Nostalgia-hungry backers can even get the game on Limited Edition USB Cassette, which also promises to be packed with retro gaming videos and artwork, demos of other upcoming indie titles and a detailed developer diary. A free demo of Hyper Sentinel can be downloaded for PC, Mac, Android and iOS from the Kickstarter page. 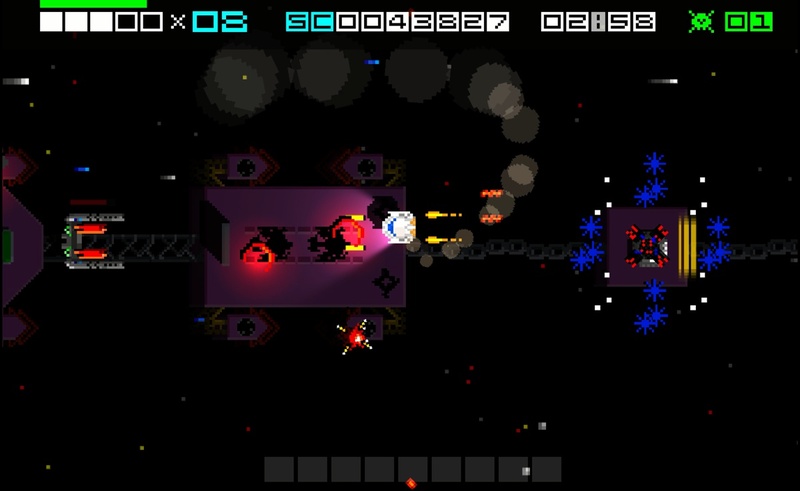 Developed by indie developer Jonathan Port (aka Four5Six Pixel), Hyper Sentinel is inspired by the classic shoot ‘em ups he played in his youth. Four5Six Pixel are partnering with Huey Games on the project. Huey, a new company founded by industry veterans Rob Hewson and John Ogden, are helping with design feedback, porting of the game to various platforms and are handling publishing duties. Huey Games is an independent developer and publisher founded by industry veterans Andrew Hewson (publisher of Uridium, Paradroid, Nebulus and Pinball Fantasies), Rob Hewson (Game Director on the handheld versions on LEGO Star Wars: The Force Awakens, LEGO Batman 3 and LEGO The Lord of the Rings, and John Ogden (Technical Lead on Hydrophobia).